Do You Want to Achieve the Next Level? 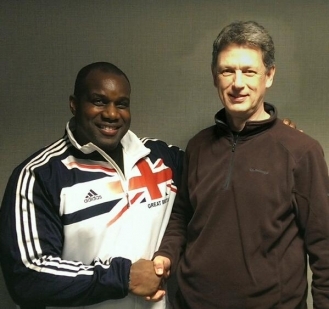 At the beginning of March 2014 Ian trained alongside Kevin Brown, 4 times World Champion discus thrower. During this time Ian modelled Kevin's motivation and coping strategies, and gleaned an invaluable insight into a suberb attitude of dealing with all the challenges that come to those who really want to raise their game. Now you too can develop a champion mindset and Achieve your goals. Skype Coaching is available to budding superstars so location is no longer a problem. Why settle for a 'local coach' when you can have the pick of the best? You have complete control of the situation...excellent for building confidence. Skype is free to use. The sessions can be run outside normal business hours to suit you and there is no traveling time to and from sessions, saving you more time and money. A typical Achieve Sports Performance Mind coaching session lasts for 30mins and your investment is £130. Email or phone now to check availability.